A team of researchers across The University of Manchester (UK) has shown that a new class of drugs is able to stop ovarian cancer cells from growing. The Cancer Research UK- and Wellcome Trust-funded study, publishedon online on March 18, 2019 in Cancer Cell (https://www.cell.com/cancer-cell/fulltext/S1535-6108(19)30099-6), showed that the drugs, called poly ADP (adenosine diphosphate) ribose glycohydrolase (PARG) inhibitors, can kill ovarian cancer cells by targeting weaknesses in their ability to copy their DNA. The open-access article is titled “DNA Replication Vulnerabilities Render Ovarian Cancer Cells Sensitive to Poly (ADP-ribose) Glycohydrolase Inhibitors.” The first-in-class PARG inhibitor PDD00017273, was discovered in the Drug Discovery Unit at the Cancer Research UK Manchester Institute, part of The University of Manchester, as part of a targeted program to discover PARG inhibitors for the clinic. This program is currently being progressed through a collaboration with IDEAYA Biosciences, Inc. (https://www.ideayabio.com/), an oncology-focused biotechnology company committed to the discovery of breakthrough synthetic lethality medicines and immuno-oncology therapies. These findings are promising for patients diagnosed with ovarian cancer, the sixth most common cause of cancer in women in the UK and a cancer that causes more than 4,000 deaths each year in the UK. "Sadly, for the majority of women diagnosed with ovarian cancer, the cancer relapses within 12 to 18 months of their first treatment, and so there is a pressing need to develop new therapies to treat this condition" said lead scientist Professor Stephen Taylor from The University of Manchester. Through a collaborative effort across The University of Manchester, including the Cancer Research UK Manchester Institute and The Christie (https://www.christie.nhs.uk/), Manchester, scientists were able to screen ovarian cancer cells for specific genes that, when knocked out, would bring about PARG-inhibitor sensitivity. Through their work, the team identified the key genes that made cancer cells sensitive to PDD00017273 were those involved in DNA replication. PhD student Nisha Pillay provided valuable insight into how PARG inhibitors work. She said: "Before a cell divides, it must replicate its DNA. This critical process ensures the necessary amount of DNA is passed on to its daughter cells. 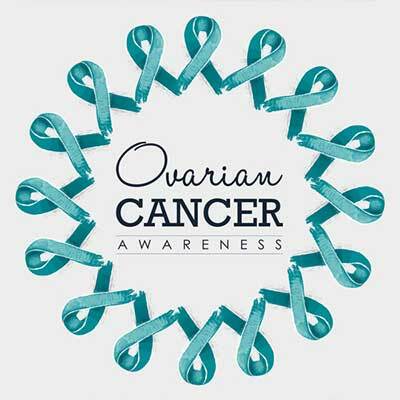 Our research has shown that an inherent defect in the ability of an ovarian cancer cell to replicate its DNA can be exploited by the PARG inhibitor to kill the cancer cell." "This new class of drugs is potentially very exciting and could signal a new way to help patients diagnosed with ovarian cancer in which their tumor has not responded to standard treatments." Dr. Robert Morgan, from The Christie, said: "We hope this work will provide further impetus for developing a PARG inhibitor for use in human trials, and also biomarkers that can be used to select the most appropriate patients to receive such treatments in the future."